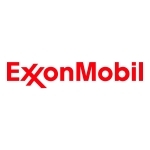 ANCHORAGE, Alaska--(BUSINESS WIRE)--ExxonMobil announced today that it has successfully drilled and tested the PTU-15 and PTU-16 development wells for the Point Thomson project on Alaska’s North Slope, ahead of the year-end 2010 target. Point Thomson is a remote natural gas and condensate field located on Alaska’s North Slope, approximately 60 miles east of Prudhoe Bay. It is estimated to hold about 25 percent of the North Slope’s discovered gas resources. Concurrent with the drilling of these two development wells, activities are also focused on engineering and environmental permitting which are critical for project development. To date about $1.5 billion, including more than $730 million in the last two years, has been invested in Point Thomson. The Point Thomson project includes gas cycling facilities designed to recover hydrocarbon liquids and re-inject natural gas back into the reservoir, making Point Thomson the highest-pressure gas cycling operation in the world. The two wells were drilled to a measured depth of over 16,000 feet. The shore-based rig drilled directionally under the Beaufort Sea to the targeted gas reservoir more than 1.5 miles offshore. The Point Thomson reservoir is abnormally pressured in excess of 10,000 psi. Over 150 companies have been working to safely advance development of the field in an environmentally responsible manner. Preparation of the Environmental Impact Statement and design work on the facilities (known as Front End Engineering Design or “FEED”) are now well advanced. CAUTIONARY STATEMENT: Estimates, expectations, and business plans in this release are forward-looking statements. Actual future results, including resource recoveries, production rates, and project plans, schedules, and costs could differ materially due to changes in market conditions affecting the oil and gas industry or long-term oil and gas price levels; political or regulatory developments; the outcome of negotiations; reservoir performance; timely completion of development projects; technical or operating factors; and other factors discussed under the heading "Factors Affecting Future Results" in the Investors section of our website (www.exxonmobil.com) and in Item 1A of our most recent Form 10-K. References to gas resources and other quantities of oil and gas include amounts that are not yet classified as proved reserves under U.S. SEC rules but that we believe will be produced in the future.